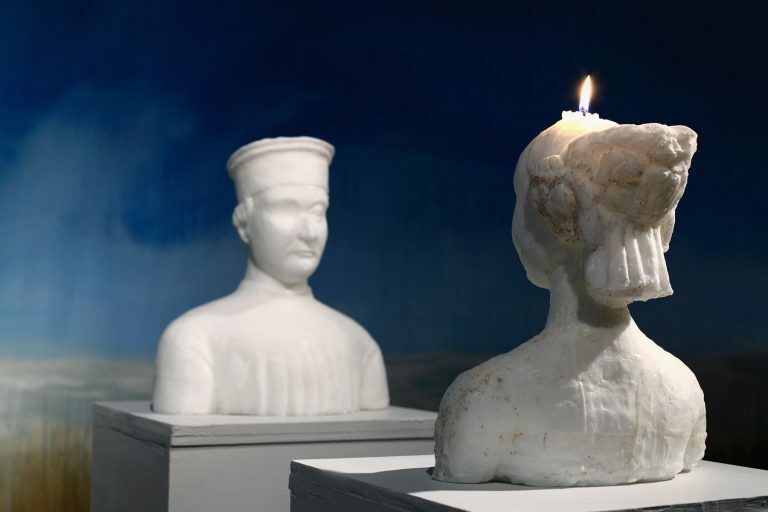 Installation at Gallery Sinne, Based on diptych by Piero Della Francesca: Candle sculptures (height c.40 cm), painting- acrylic on canvas, 210 x 1000 cm. 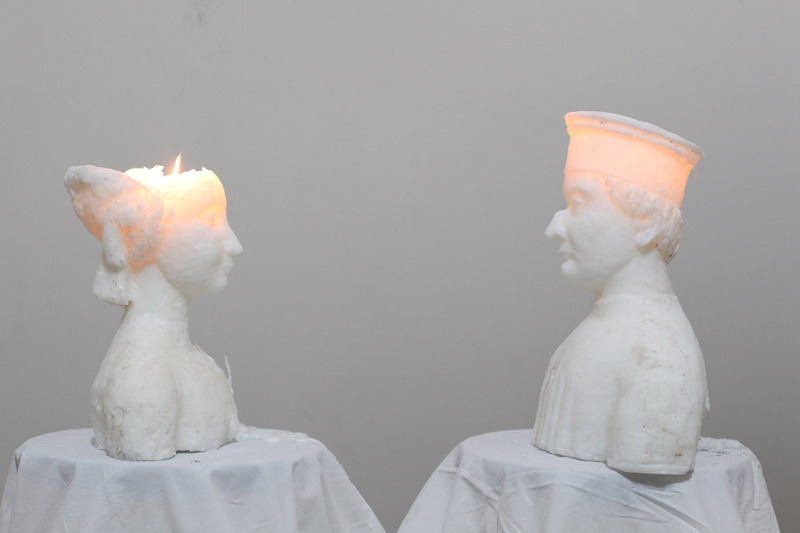 Candle sculptures were burning slowly down under exhibition time, two weeks on January 2010. 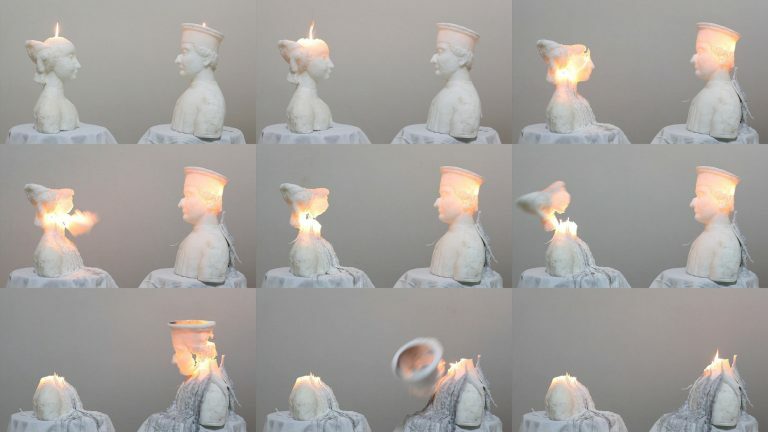 Part of the installation was a video (12’19 min HD) showing the whole process of candles burning and finally collapsing.